YouTube has in the past tried to compete in the same space with Spotify and Apple music by launching it's own music streaming services which are Play Music and YouTube Music Key but both services haven't really met up to expectations. A new report from Bloomberg has it that YouTube is planning on launching another new music subscription service by March of next year 2018 and it will be called "Remix". Report has it that the new service will combine traditional on-demand streaming in the vein of Spotify and Apple Music music videos. Youtube is allegedly working on getting three big music publishers on board of this new service which are Warner Group, Sony Music Entertainment and Universal Music Group. Warner Group is said to have already signed in in the deal which leaves only two publishers left. 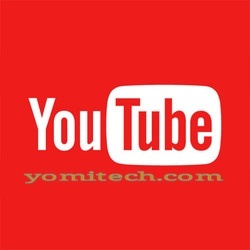 YouTube is also in talks with Vevo which happens to belong to Sony and Universal Music. YouTube really has a lot of work to do if it really wants to conquer the music subscription service as it has Apple music with over 27million subscribers and Spotify with over 60 million subscribers to compete with. I guess all we can do now is to wait until the rumoured music service is officially launched.